I am sorry I could not post on this yesterday but I was attending and moderating a panel at the Vancouver Cambridge House show. Tune in to the second hour of the weekend show to hear what people were saying while on the floor. Back to the major discovery… Orex Minerals (TSX.V : REX) (in full disclosure I own this stock and have owned for a while) released a seriously impressive drill result on the Sandra Escobar property in Mexico which is under an option agreement from Canasil Resources (TSX.V : CLZ). Here is the table from the press release and notes on what it means to me. High-grade silver over a long distance of 62 metres. The silver starts right at surface with the best grade starting at 4 metres down. With silver grades this close to surface it is important to see what comes out of deeper drilling and step out drilling. While the news release focuses only on the results from the one hole the Company has already stated this is part of a larger drill program. Back on December 10, 2015 Orex issued a release outlining a total of “about 2,000 metres in as many as 12 drill holes”. There is a lot more news to come from Orex in the next couple months. The weather in Durango State has been on the cold side recently so we should expect to wait at least another few weeks before another hole or two is released. I am sure the markets will be paying close attention. Clearly the market took notice yesterday popping the stock $0.125 to $0.335 (up almost 60%). Today the stock has pulled back $0.06 to $0.275 on continued high volume. I am not worried about the sell off today. Investors are clearly taking some money off the table and waiting for the next results. This is an inherent problem with exploration, people will sell on the news and wait until just before when they think the next results are to be released to buy back in. These results are too good for me to think that the stock will move significantly down from here. Looking at Canasil, this stock made an even more impressive jump. Trading at $0.05 and under for the past long time the stock jumped to $0.15 yesterday and had pulled back to $0.125 today. Canasil will continue to ride the coattails of this drilling if the results of this one hole will be confirmed. A factor that I like about Orex and a reason why I continue to hold is the track record of management. Gary Cope (CEO and President) along with Ben Whiting (VP of Exploration), both of whom I know very well, were the team behind Orko Silver. Orko was a silver exploration company focused in Mexico and sold to Coeur Mining back in 2012. I like when management sticks to locations they are familiar with and metals they have already found as well as management that can get a sale done. I also like to see insiders buying their company stock out of the open market. It shows that management believes in the company and helps support the overall price in down markets. This is exactly what Gary has been doing for more than a year. Check out CanadianInsider.com to see for yourself. Let’s take a look at the financials. As at October 31, 2015 Orex had over $4.5 million in the back plus another $2.6 million in receivables. Net this cash (some of which would have been spent) with the very low payables and no debt Orex has more than sufficient funds to carry out this drill program and move the company forward. ** Do not constitute this as investment advice. As stated above I (the author, Cory Fleck) hold shares in Orex and is a personal friend of management. I was not paid for this article in any form. Please do not use this article as a reason to buy or sell any shares. I am working to keep our listeners up to date on major news in the mining industry. Do your own due diligence. If you have any questions please leave them in the comment section below or email me directly at fleck@kereport.com. Thanks Cory. I saw CFS post on this exploration yesterday and was pleased, because I like the management that took Orko Silver to a successful buyout. Maybe they can do it again…. Gary and his staff are good friends and good people. Brahmin Yamini and his family are truly the salt of the earth. What is the OTC symbol for OREX…i try ORXIF but get nothing??? anybody?? Their OTC symbol was (ORXM) at one time, and then recently it was (ORXIF). You’re right, I can’t seem to pull up anything charts on it now. * Their TSXV symbol (REX) is much more liquid and is really the ticker to follow. There doesn’t appear to be a working OTC equivalent for it at present. I checked Interactive Brokers and nothing came up for either ORXIF or ORXM, fwiw. Yes. This demonstrates the explosive of percentage gain on small Jr Miners, when a standout discovery is made and when their is quality management with a proven track record. People have no idea if this will be a mine or profitable, but the vision is there for where things could go. I would also argue that this is the value of fundamental analysis, as well as technical analysis. I’m not sure the technical indicators would have indicated such a swift and large move. ditto on the quality management……..
Big Al – I even tried going to stockwatch and Orex Minerals old tickers are Defunct. I’m not sure if they still have a US listing. I want to add a word of caution. That is to check their warrant situation if you are thinking of speculating. My memory carries a flag of over 3 million warrants until 2017, which will imply, as far as I am concerned, a potential for Canadian scum-brokers to play shorting games with the stock. Thanks CFS. Definitely something to consider. They have more warrants than I remembered, and on their website are still citing ORXIF on OTC. The immigrant situation in Europe will come to a climax, but when? Denmark just quickly passed a law allowing a search oif all asylum seekers and temporary confiscation of assets in excess of $1500 approx to be used to offset cost of benefits; housing, clothing, food, etc. I am told that during these autumn/winter months up to and possibly over 50% of those claiming refugee status are, in fact, immigrants from Morocco, Algeria, Tunisia and Libya, travelling on forged Syrian passports. (ISIS is obtaining considerable financing!) It is clear that Moroccans have no cause to claim any refugee status. I am also told that quasi-government organizations seem to be funding some of the trans-mediterranean crossings and that several sources have pointed to Soros are partly backing this. No one could explain why. That suite than just a bit interesting, Professor. Thank you. With Open Gates: The forced collective suicide of European nations – Extended Cinematic 1080p Thats a related u tube. about 20 mins. Its the invasion that Russia was saying was going to happen some years ago now, isis was saying it too of course. Well, its here. Islam is now going to become the dominant religion in Europe. Getting rid of Saddam and Gadaffi did the trick. Wonder how it will affect markets? The Telegraph is reporting Greece border may be closed to immigrants. Interesting article. Just read it. Silver is up 3.2% vs gold since the 7th and will continue to outperform. 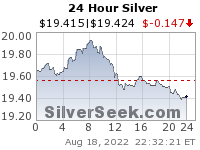 Its looking that way, and it was overdue for Silver to play catch up. Is it Time for a Silver Price Turnaround? Featuring VRIC comments from Keith Neumeyer, Phillips S. Baker, Jr., Randy Smallwood and Ross Beaty. Very very far from a major discovery! A good hole. Agreed. It just goes to show how far a positive news blip can move a small speculative Jr explorer. There is no promise of a major resource, mine, or a profitable future, but….. markets are run on emotional over-reaction to the upside and downside. *** CHARTSTER YOU ARE DEAD WRONG, THE SHANGHAI INDEX HAS NOT DOUBLE BOTTOMED! Shanghai market is now down more than 4% now, these markets are going lower! Yesterday when it hit the August lows, it was a double bottom. Yep Chartster NO double bottom. Headed much lower…..MUCH lower. I live and work in Asia. Big issues everywhere. When gold broke through $1111-$1112, then came back and tested it, there was a floor there and it rallied well yesterday. I really don’t want Gold to close below that level if there is any juice left on this rally. First resistance target that I was watching was $1122-$1123, and this is where Gold stalled out and retreated. Chartster pointed out the 200 day MA was at $1134 (so that is next resistance higher), and I expect the top target for this rally to be in the $1142 (top of trend line in descending wedge) or $1146.30 (prior peak from Sept 25, 2015). I was checking out Kitco and the title of this video interview with Peter Hug caught my attention. He also sees $1122 as a key resistance area that must be broken if Gold has a chance at a decent rally. This Gold chart shows the 200 day SMA at $1134 and the 200 day EMA at $1130. Those are next resistance if gold can take out $1122-$1123. At the moment, gold is backtesting the bearish breakout of a huge modified Schiff fork. We’ll know soon if this is a significant resistance…. 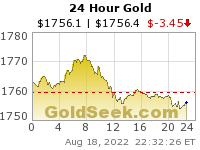 COMEX…………SOMETHING SNAPPED………..541 to 1……..zerohedge…gold for delivery going bye bye. I commented on that earlier………..this is really going to get interesting going forward! I will be reading that COT Gold Report on Friday! Thanks….sorry, I did not see, but, you are correct on it getting interesting. That is just ridiculous, 541 fools for every one ounce in house! This is nothing but a very sad and sorry fake house of mirrors, they have no more credibility at all. Something has got to give soon………………….it can’t be long now, there’s nothing there! After reading that, somebody has to be eyeing a major purchase! I would think so…………..the number of $169mill is chump change…. Yes Holter will comment on it! THIS could be the PLAY OF THE DAY………………..COMEX goes no bid………or COMEX CLOSES due to no inventory………………Fiat gold for everyone. Update………just zipped over to jdsmineset, and Holter did mention it in his report. *** Shanghai markets did bounce back big but it has no ways neared a double bottom! We will see what it closes at on Friday morning! Yeah and don’t forget the fed……..will they or wont they continue to raise! Markets are waiting and watching and the Fed knows it! The PPT………..is backed by the ESF………which is the control at the treasury that no one wants to admit exist. SO, anything is possible at this time. Wait and see what European markets do………..there is a lot of turmoil going on in France, Germany, Italy……you name it…..the immigration problem is out of hand, I would think that the Europeans are getting a bit excited. A bit mad! Any fool knows that the whole adjective of Islam is to rule the world by demographics! America and the world is full of none believers……and have never read anything on the subject of Islam ….even the So called Christians are out of the loop. Average Chinese considers stock market casino. *** BALTIC DRY INDEX CONTINUES TO CRASH NOW DOWN 345 PTS! You got to just laugh at this point………this sh#t is so sad! WOW………..I’m getting a moderation notice on all of my post! They had my name spelled wrong that’s why……..
Me too! That was a great read by Bill Holter on the Comex! Actually gold ups up in British pounds, and Indian rupies……. * Bill Holter would be a good guess for the weekend show Big Al. After reading this recent editorial on Seeking Alpha, I am wondering if I should consider Hecla a Gold company more than a Silver company now. It seems that through their different acquisitions over the last few years that their Gold profile has increased to be the primary driver over the Silver, and base metals. It is odd because it tracks Silver pricing more than Gold. Maybe most investors don’t realize how much of Hecla’s asset base is not tied to Gold more so than Silver. Hecla will certainly be interesting to keep an eye on. Note the amount of Iranian oil supply projected. Merkel is beginning to realize she will be voted out of power. The attack on her opposition from the “right” begins. BERLIN (AP) — The German government on Wednesday banned a far-right Internet platform that it accused of spreading “racist, xenophobic, anti-Semitic, homophobic and anti-Islamic content,” and federal prosecutors said two people were arrested. The prosecutors’ office said that two Germans, identified only as Jutta V. and Ralph Thomas K. in line with German privacy rules, were arrested on suspicion of founding a criminal organization and incitement. Three other suspects weren’t arrested. Intermedia Deutschland actually uses a server system in Russia, which it thought would provide safety from attack. Thia may have implications to broadcasters like Rush Limbaugh, Glenn Beck, etc., who have mentioned broadcasting from Mexico as US freedom of speech rules are tightened.